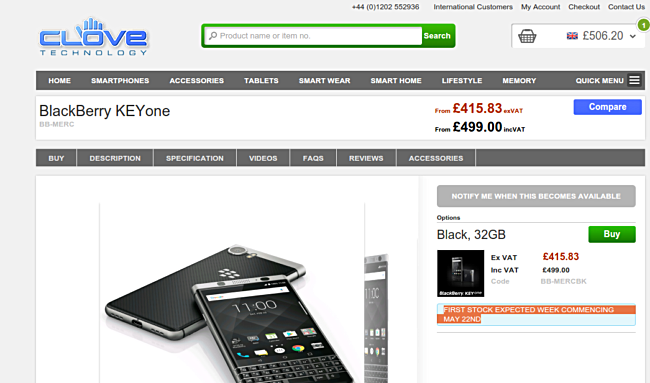 Earlier this month, the BlackBerry Keyone listing on UK retailer Clove's website revealed that shipments will begin May 5. Sadly, the date has been pushed back, with the listing now revealing "week commencing" May 22 as the time-frame when first stock will arrive. While that's sad, the good news is that you can still get hands on the device earlier than May 22. 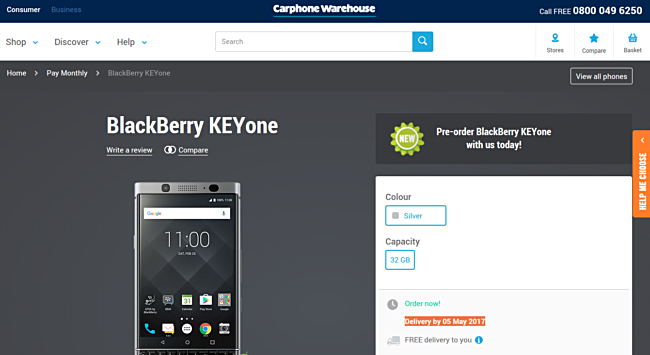 Carphone Warehouse has started accepting pre-orders for the phone and is promising delivery by May 5. Pricing remains the same at £499. If they add at least ip67 water and dust resistance, its a instant buy for me. now i am debating. BlackBerry *really* messed this delivery up. Have fun as a software company that can't produce reliable software.